Here we look at the top five instances when Indian cricketers were booed by the Indian crowds. 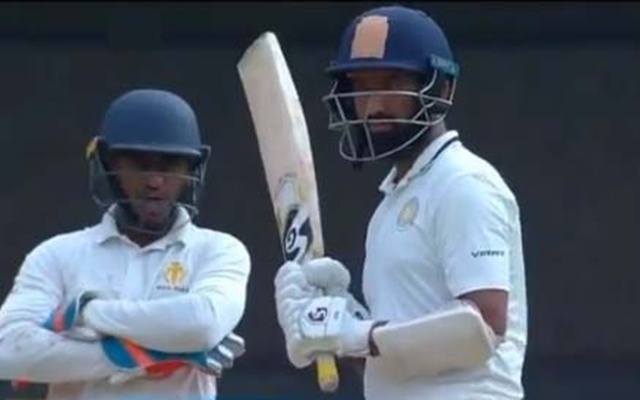 During the Ranji Trophy semi-final game between Karnataka and Saurashtra in Bangalore, visiting team’s batsman Cheteshwar Pujara hogged the limelight for the umpiring decisions that went in his favour. Once each in the two innings, Pujara was reprieved by the umpire after edging it to the keeper. His unbeaten 4th innings century helped Saurashtra qualify for the final despite the fact that Karnataka took a handy first-innings lead in the game. Pujara’s sportsmanship was under the scanner during the game as he did not walk despite having edged twice. The home crowd kept mocking India’s Test No.3 batsman as they were aware of the chance he was awarded would cost them the game. As a result, they were not warm to him. This was not the first time that an Indian player faced the heat of the Indian crowd. In fact, since the start of the Indian Premier League (IPL), this has become a common occurrence. Cheteshwar Pujara was declared not out when he was batting on 1 in the first innings. The replays suggested the ball brushed Pujara’s glove. He ended up scoring 45 in that innings and helped in bringing down the first-innings deficient. 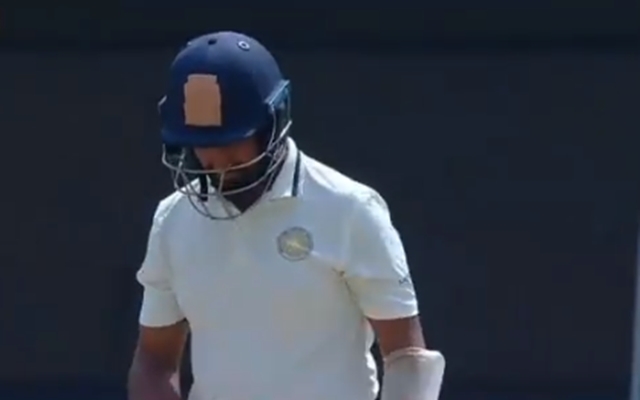 While walking out to bat in the 2nd innings, Pujara was welcomed by chants of “Cheater” and “Cheater Pujara” from the home crowd. In the second innings too, the Saurashtra’s biggie was reprieved while batting on 34. Once again, Pujara took his ground while umpire struck the appeal down. As a result, the Bangalore crowd continued the “Cheater Pujara” chants while he walked back to the pavilion during the Tea interval. However, the same crowd were in the appreciation of India’s No.3 after he brought up his hundred.